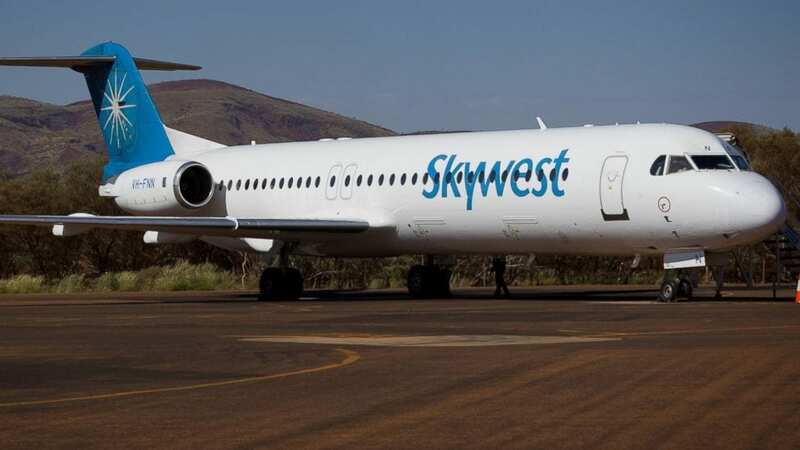 ST. GEORGE, Utah, Sept. 12, 2018 — SkyWest, Inc., (NASDAQ: SKYW) (“SkyWest”) today reported 155,900 block hours in August 2018, compared to 162,200 block hours in August 2017, a decrease of 6,300 or 3.9%. The net decrease was consistent with SkyWest’s fleet transition plan to improve the mix of aircraft in its fleet. The year-over-year net change was primarily driven by approximately 7,800 additional block hours from its E175 aircraft (includes the E175 aircraft and the E175 SC aircraft) and a decrease of approximately 14,100 block hours from its other aircraft types. In August 2018, SkyWest’s E175 aircraft represented approximately 27% of SkyWest’s total block hour production for the month compared to approximately 21% for the month of August 2017. SkyWest reported 1,185,000 block hours for year-to-date August 2018, compared to 1,245,000 block hours year-to-date August 2017, a decrease of 60,000, or 4.8%. This net change was primarily driven by approximately 54,000 additional block hours from its E175 aircraft and a decrease of approximately 114,000 block hours from its other aircraft types. SkyWest had 90,600 departures in August 2018 compared to 97,200 in August 2017, a decrease of 6,600, or 6.7%.